On this week’s show, Matt & Chris discuss the fascinating article Survival of the Mediocre Mediocre by Venkatesh Rao. Hello and welcome to Episode 94 of WB40, the weekly podcast with me Matt Ballantine and Chris Weston. 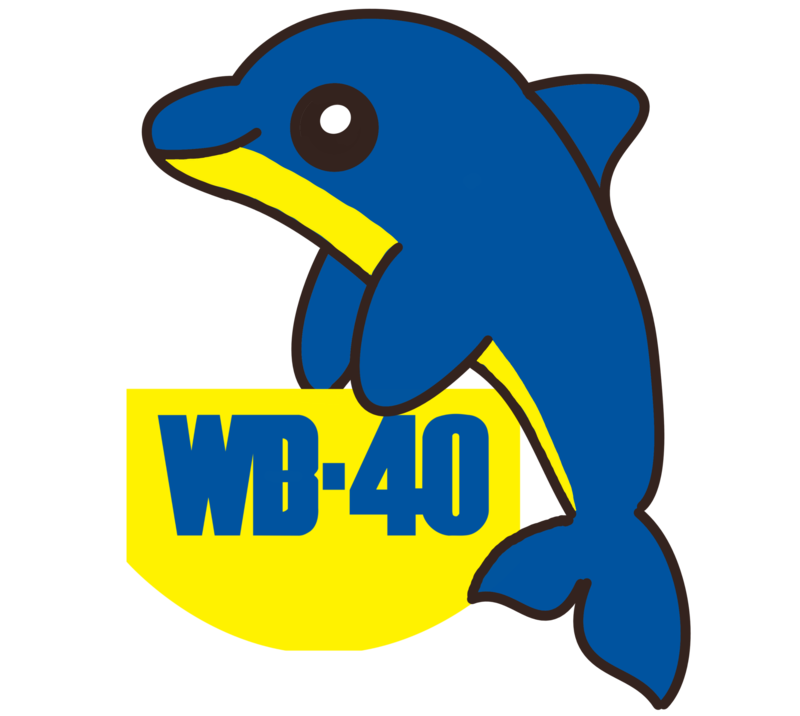 Well, welcome to the latest episode of WB40. We’re recording this towards the end of January. It’s Episode 94. We have had a cracking start the year with various interviews. But this week, we are back to just you and me. Just like the old days. quite actually, actually, because I can never be bothered to edit it. Yeah, standards generating this country basically are falling through the floor. Now. Have a nice oh, well, there you go. but they’re, they’re not, they’re not po faced bunch. And it’s, it’s actually quite is quite good, fun. And some really interesting people as well. So I had a good evening, and I was down in London a couple of days, and also had some meetings with other people as well, which was, which was great. So yeah, really busy and, and fun. What about yourself? and new set of challenges. We should just come up today, we should be quite interesting, and quite a Trump potentially as well. So yeah, all in it’s, um, it’s been a good week, obviously, we’ve got no clothes. I mean, the other thing that has been distracting me terribly has been the entire car crash British politics and finding it very difficult when I’m working at home to not keep getting dragged into watching Parliament TV. Whoops, I never, I never understand that. I don’t understand how, when you register a domain, it’s a bit like getting your car mot doesn’t it? Surely some sort of calendar would be an order. so that’s maybe a LinkedIn thing. But anyway, yeah, the whole point is that if you I have this rule, if I’m in a room and I pick up a whiteboard market, it doesn’t work, I’m going to throw it away because there’s no there’s a number of meetings you go into, and you pick up a whiteboard marker, and it’s essentially it’s either doesn’t work or it works so feebly that it’s hardly worth using, but people don’t like to throw them away. They think, well, have I got the right to throw this away? Do I have the authority to make a decision to dispose of this thing? Yeah, are there any others and if you don’t throw them away, nobody ever buying a new ones. And if you can imagine the amount of time it’s wasted in people fighting about looking for whiteboard markers, it’s it’s a small book, personal crusade. Now, if you if you look at distance, if you’re not bright next to the whiteboard or the flip chart, if you get written stuff written in green or red, it’s basically unreadable from the back of a room isn’t just about the color and the way in which people’s eyes received from the actually green and red they’re fine for put in little dots and things. But if you try to write in, it’s completely useless. I want everybody kept getting run over on the roads in the 70s, the green Costco was completely useless. about so young number I didn’t expect to hear tonight the number of years since blankety blank because we lost a dear old winter Davis this week and it’s probably even longer since the start of if I don’t have I remember hearing them doing whispering grass on top of the pops up and I was just a tiny nipper human. Donna still. Yep. Thank you for ROI for bringing attention to a fantastic article, which is all about how to humans can try and over artificial intelligence by being the most mediocre or being mediocre. It’s a fabulous article and we’re going to talk about it and take it to bits, and then I’ll see how we can apply it in the real world. And then to start off, we’re joined this week on the new and only second episode of I must read it again feature and this week’s guest is from extremely chopper who climbs Tom Garrity. So let’s join time in the jungle. Who are you? I’m Tom geraghty, what do you do? I’m currently CTO of identity. And I’m a technology consultant specializing in cloud technology, DevOps, process improvement and learning and safety cultures and organization. who is the author uses a gene Kim George Spafford. And Kevin. When did you first read the book I first read the Phoenix project in around 2014. While I was head of technology for the National ice center and capital FM arena in Nottingham. Tell us briefly, the main theme of the book. The Phoenix project is a novel about an organization struggling to meet the demands of modern technological complexity and competition in the industry. The main character bill is suddenly thrust into bringing a critical project back from the brink. And it describes with eerie familiarity, what it’s like to work in a technology organization that has poor change control a programmatic ops versus dev culture, and inadequate visibility and monitoring of work or performance. gene. And the growth is also introduce in this book. One of the first efforts to codify DevOps using gene Kim’s three ways which are flow or systems thinking, feedback loops and continuous improvement. What impact has the book had on you other time it completely changed how I thought about it. And it helped me to focus more on process improvement culture people and applying Lean and Agile thinking to IT operations when at the time part of me, I think, maybe consider those to be aspects of software delivery teams only rather than it operations so began to use the lessons learned from the book to improve the way I my teams and my business worked using things like more effective measuring and visualization of different kinds of work and measuring things like unplanned work. When did you last read it? I’ve probably only read the book and for the ones but I dip in and out of it quite often. Every now and then if I want to remind myself of something, I want to explain DevOps to someone if you could describe the book as an animal, what animal would it be, it would be some sort of animal rather more intelligent than I am like a dolphin or modern clever monkey. dev ops and it’s obviously a bit of a Bible or now holy text for those those other guys. And it’s, it’s one of those books I think, that people can take up because it’s kind of true to life story. I think it’s one of those books that people can take a bit of inspiration from, I can try and find parallels in what they’re doing, or in the, in the way that people saw problems in in in that story. So yeah, I am aware of it certainly been floating around my consciousness, but I’m not ready. website for himself. So if you want to find out more about Tom, you’ll be able to. So there you can find it all a web 40 podcast.com. I can’t remember the names that I haven’t obviously spent enough time with my kids are here dinosaurs is my bad parenting. But the flappy things with the wings weren’t particularly great dinosaurs because they weren’t big and meat eating and gradually and they certainly weren’t very good birds because they hadn’t evolved feathers. As far as we know there’s some discussion about whether there was fetid dinosaurs. it kind of does. Yeah I am. I’m reminded when you talk about the big fluffy things with wings and the massive asteroids and things that you did the sociology degree or someone didn’t hear that makes that makes all sorts of sense. and cultural aspects and financial aspects, all of these things can play into way the way decisions are made. And the way that the future might unfold. And therefore being kind of comb shaped as, as you’ve described it before, or being mediocre across a whole bunch of things is important because being being excellent at anything, there are trade offs to be made on in in order to be excellent to anything, you have to meet other things. bank the bank bank, Hitesh Rao in the article, talks about is also where inspiration, new idea often comes from. that profession to change things around. Because let’s face it, nobody would have no shops would be on the internet. Now, if somebody from an IT background and said, we use this internet thing, and I said, Sure, our products on that, you know, it doesn’t need these flashes of inspiration. And you only get that through having multi level skill sets. I think so. I don’t, I don’t, I do not remember reading that. And I don’t quite understand where he’s heading with it really, in terms of its it fairly, it’s pretty concise. And as much as I understand why you’d have a game where you have to be the most media credit to win. the use of things like chess, or go as being this intelligence test for computers is because they’re not like the real world because they’re incredibly boundaries because they’ve got these nice strict rules associated with them. I think his point about the mediocre, mediocre stuff is that actually there is no insight. So actually, if you start to refine yourself to be always middling when when when the scenario changes, when the meteorite hits and you suddenly competing nothing against the big dinosaurs anymore, you won’t be able to adapt if you’ve got really good at being mediocre within certain set boundaries. that’s fine. But you’re never going to do that again. Are you never going to play it something is always going to win all the time. So it’s a it’s an interesting puzzle. And it’s an it’s a intellectual challenge to make the computer do it. But the fact that it can play chess Well, it’s kind of neither here nor there because it can’t do anything else. And, and never will, you can no doubt learn now that you’ve paid till till the computer to play chess, you can learn some of the the techniques that you use to do that, that you can then apply them to other problems. But it doesn’t, it’s not the same as as, as you say, being deliberately wide ranging. And if you like, mediocre. So that’s the gist of the article. As I say, we’ll put a link on the web page for the show to be able to get you to be able to get to the article was just have to think about next is actually is there a practical application of this in an era when organizations businesses are complaining about how much uncertainty there is. So something I keep hearing, particularly from the CBI, the Confederation brushes industry is that business can’t deal with uncertainty. And they’re talking about this particular in the context of what’s going on with braced at the moment. Now, this annoys me when it annoys me, because first of all, the CBI tends to talk on behalf of all business when it actually represents the tiny minority of the number of employers and also a minority of the size of organization overall by the number of people employed, most people are employed by the small to medium sized businesses or public sector organizations. And the CBI represents sort of work fact, ironically, the mediocre bit in the middle of large employers. I think, I think a lot of what you’re saying absolutely makes sense, I think that the whole uncertainty thing, in an ideal world, everything would be certainly wouldn’t. And that’s part of why we do the whole it thing that’s, that’s my one of mine drivers for it is that it is about getting better information to people quicker, so they can make better decisions with better inflammation. which is not an ability at all is it of course, but it’s a it’s just one of those things that happens if you if you’re looking. if we take particularly the Brexit stuff in the moment, that the challenges to be able to get the world that we have today, you have to have lots of extremely specialized things that you know, every level and if you look at any object that is surrounding you at the moment, and, and think about what is needed to be able to create that object to manufacture that object, and to be able to do it at scale and the cost, it’s affordable, not rest. This specialism all the way through those supply chains, value chains, and that’s how the modern world is made. But those incredibly tightly specialized ways of working are incredibly fragile. And the three four things that have been sort of going through my mind, especially last week, as we start to hear that there is news that there is possibly stockpiling starting to happen around things are pharmaceuticals. In the UK, if you think about 2000, and the your protests, which were, you know, a few hundred, if not most, a few thousand lorry drivers taking a bit of action. And basically, it was crazy time, if you think about what happened when the Icelandic volcano went off, and grounded air traffic for what three or four weeks if you think, you know, where the the Channel Tunnel fire a few years back, and the impact of that had, I think about how these tiny little things can have a massive knock on effect. And then you think if you were to have, I don’t know, 40 or 50 of those kinds of tiny little things were happening at the same time. And that’s probably under estimating it. That’s the fragility that underpins this. And how do you get a balance between having organizations that can deliver what it is that the modern world determines we must deliver with supply chains, and all the rest that they have set against having a suit just even a basic level of resilience to be able to deal with where things don’t pan out? Well, that was an interesting conversation and certainly makes the old gray matter strain a bit much but we have to do every now and again. any changes so one of these places were basically they’re designed to have absolutely no noise in them at all. No echo whatsoever. I’ve been in one once before, and it is they’re actually quite disturbing places to be. I find them quite claustrophobic and then usually get claustrophobia. But having no reverb, reverberation around your tool is quite an odd feeling. That happens quite a lot. I’ve given several talks and at the end, so exactly like that. that’s that’s the plan for that. How have you got exciting things in the in the week ahead? Yeah, busy all week. And then I think, yes, I’m in London later this week doing those things. And yet, you’re just just cracking on with various exciting bits of work. Hopefully I can share some of it with you in the next few weeks. and web 40 podcast on Twitter. You can find us on all good podcasting platforms. And if you do subscribe via those things. Please leave us a review. It makes us very happy. NextEpisode 95 – But is it art?